‘Rakshabandhan’ – the word ‘Raksha’ means – protection and ‘Bandhan’ means – to tie a thread. A sister ties a thread on her brother’s hand on this auspicious day, which is seen to be strong enough to protect her brother from all the hurdles that come his way. This festival is celebrated in several countries within the Indian subcontinent. Since times immemorial, however, Rakhi or Raksha Bandhan has been rejoiced by the Hindu community. This festival holds great value for another reason too – the perks that follow with this ritual. As a ritual, the brothers give delightful gifts to their sisters on the day of Rakshabandhan. The gifts signify their love and promise (to be there for one another, whenever and wherever required). Every brother knows how eager his sister is at the idea of receiving a gift. At the same time, a brother faces a great dilemma when it comes to cherry-pick the best gift for his sister. Fret not! We are here to help you out find the perfect gift for your sister. Does your sister stand in front of the cupboard, before every occasion and scream ‘What do I wear? I have no clothes to wear…’ even though her cupboard is double the size of yours? If it’s a big yes – then trust us, you need to go nowhere, but straight to an Ethnic-wear store. Where should you head to? Well, thanks to the wonders of technology, you can access awesome Indian and ethnic-wear from anywhere across the globe – from the convenience of your personal space. 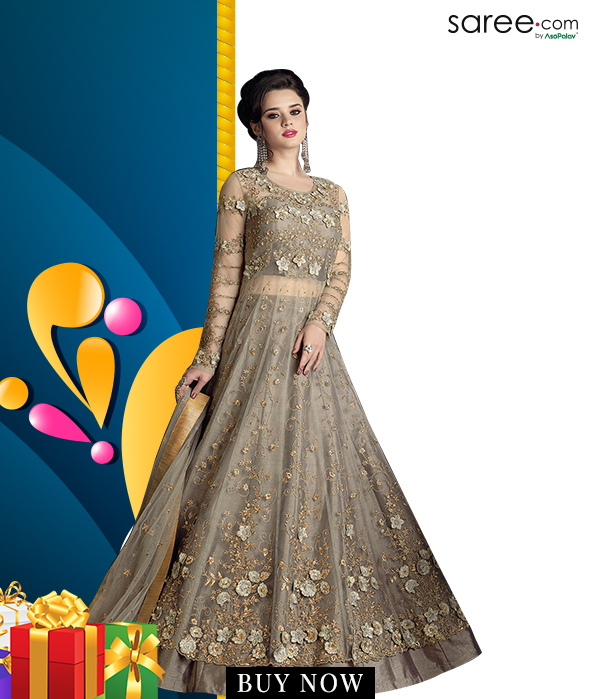 Search for the best ethnic wear site on your techno-buddy and scroll through it attentively. It’s time to choose the prettiest ensemble for your gorgeous partner in all your cute childhood ‘crimes’. Her Choice Does Matter: Be aware that you are buying a gift for your sister and not for yourself. Though it’s not easy, it is essential that you try to search for a gift from her perspective. Ensembles in Trend: Do not end up buying an ensemble that seems to offer vibes from 30’s or an era bygone. Yes this is true, do not laugh! You need to put in nominal efforts to have an idea of what’s in trend – in women’s wear. After all, there is no better sister than yours! Her Body-Shape and Personality are Crucial: What if the ensemble you have bought doesn’t seem to suit her personality? You cannot afford a sad face of the most important person on this brother-sister festival – right? Also find out – under which category she falls in to – lean or plump or athletic? Choose accordingly! Clothes Suitable to Her Age: It’s fine if she likes to wear anything and everything, if it’s comfortable to her, when it comes to ethnic wear. Otherwise you need to stay aware about her age and preferences, while choosing. She might like to wear only certain colors, dismissing others. And, there may be many other similar nuances about her likes and dislikes. Keeping these tips in mind will help you narrow down on a perfect ensemble for your sister dearest. 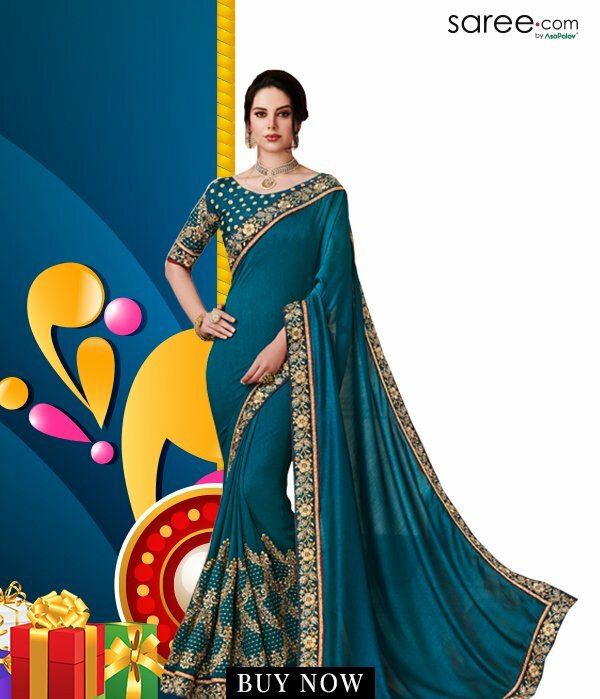 Raksha Bandhan being an Indian festival, there ideally couldn’t be a better gift than an Indian saree. 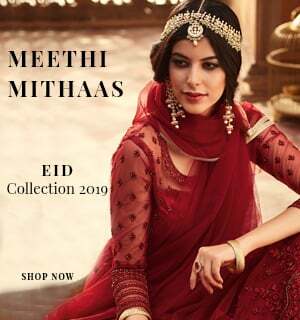 Along with the aura of richness that it carries, gifting a saree also strengthens the emotional connection between people. These days, almost every Indian girl has taken a fancy to the elegance of this draped garment. If your sister is one of those who smiles when she sees her favorite style icons dazzling in a drape, then you ought to keep her smile intact by gifting your sister a designer sari! For those who have a boss-lady sister, an office-wear saree will do the trick of keeping your happy memories alive each time she steps out for work wearing the cotton or linen sari gifted by you. These days there are pretty georgette and cotton silk saris too designed with apt colour palettes and prints for office-wear. Some of you may have a sister who just loves wearing sarees everywhere! Well then we have an entire range of satin silk sarees, chiffon sarees and trendy contemporary drapes with designer blouses. Need help in choosing the right one? You can always take suggestions from our customer care helpline and surprise your sister with your smart choice! No matter how much you love your sister, we understand that there would be a gifting budget. So we have a trendy range of designer sarees under INR 1999 that will even save your pocket-money for that extra mug of coffee at Starbucks! 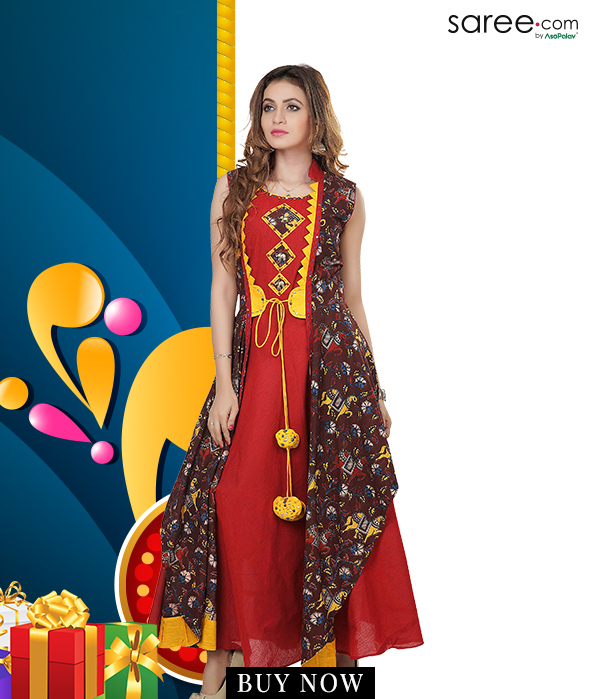 If your dearest sister isn’t inclined towards tedious draping, then you can pick a trendy salwar suit for her! 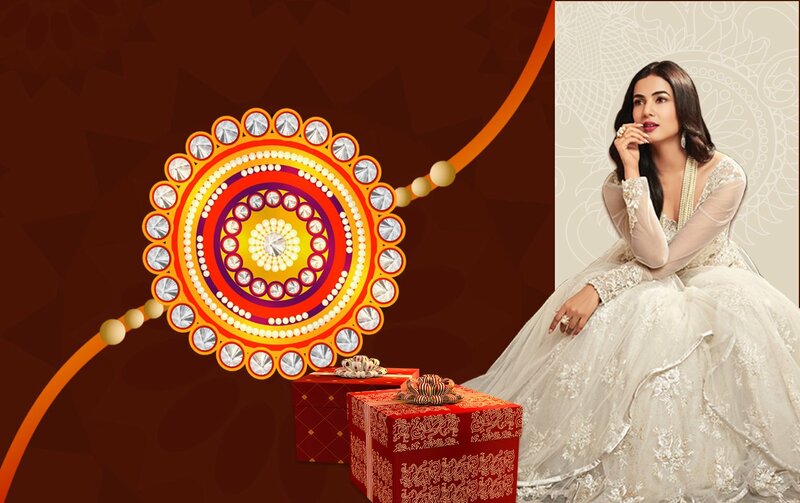 Gifting a traditional outfit is better idea than giving her a western garment since this is an Indian religious festival. Salwar suits have so many variations these days and that can really leave you baffled! But hold on, we’ll sort that out for you. 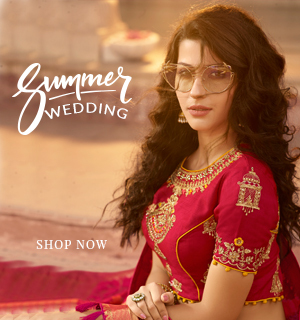 A colorful Patiala suit or a pastel indo-western lehenga suit is one of the safest things to gift since these silhouettes can be easily resized. However, if you’re a little more confident about the size then you can even pick a palazzo suit with jacket or cape detail as these styles are quite in vogue these days. With the salwar suit, you can also pack a pair of traditional jhumkis and personalized card, telling your sister how important she is! A smart way of showing off your fashion sense in women’s wear is to gift a trendy tunic or kurti to your stylish and fashionably up-to-date sister. These versatile silhouettes can be carried off for more number of occasions and are quite in trend too! Multiple layers, high-low hemlines, bell sleeves and high collar necklines are commonly spotted tunic details. Keep the current trends in mind before finalizing the garment. Pick up a smart tunic having the colours that your sister likes (you may have to sneak into her room and check out her closet her that). With this, add some Bohemian or tassel jewellery and a scarf which can be used as an add-on with the tunic. This cute hamper will surely make your sister share her chocolates with you again! The deep bond of love that connects you with your sister is above every celebration. But by putting in some efforts and making her feel special on the auspicious day of Raksha Bandhan surely sounds like a good act for protecting her smile is your duty after all!